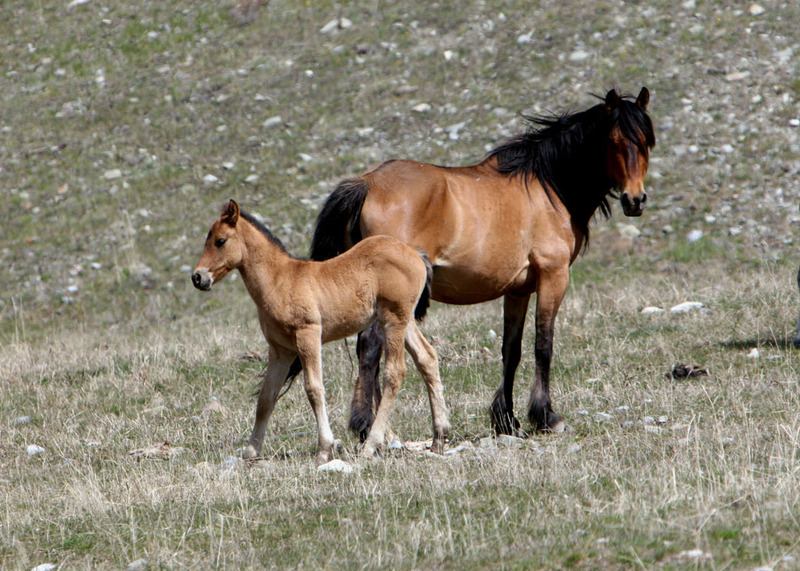 Summer is finally here and in wild horse country and the grass is growing tall and lush. 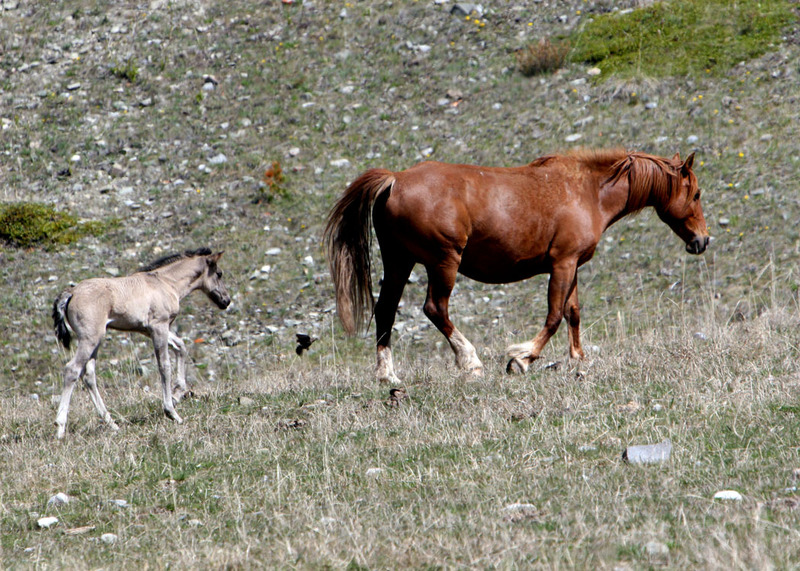 A good number of the wild horse herds have new foals with them. 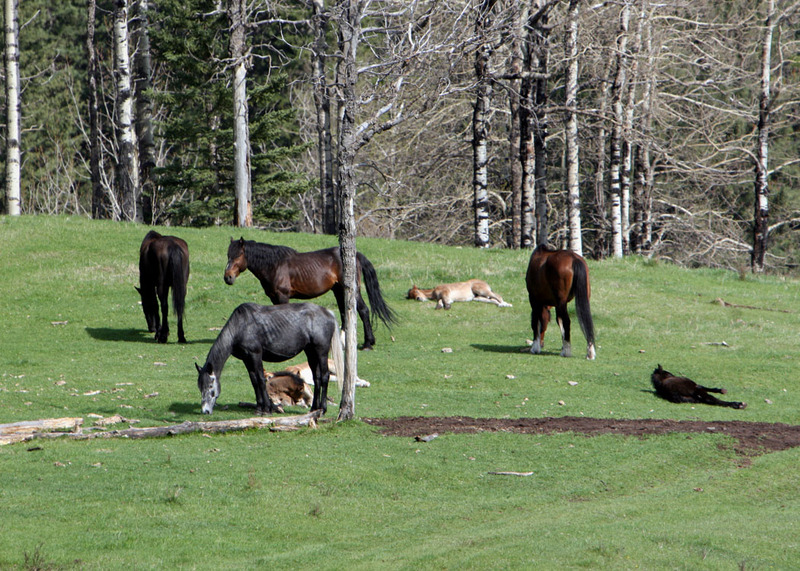 With some herds it may be only one but with a larger herd, we have counted up to five foals in that particular group. 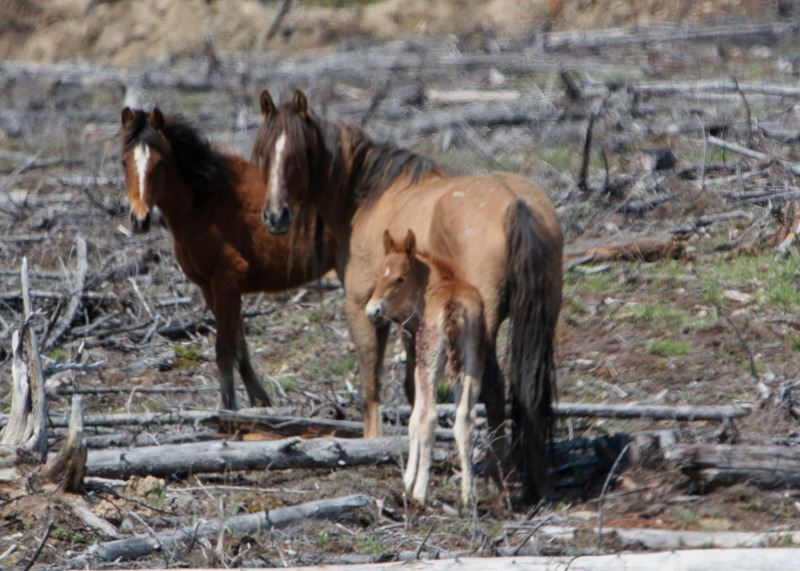 One observation though, is that with some herds that had foals with them last fall, there are no yearlings, showing that the life of these young wild horses is a very hard and harsh one. 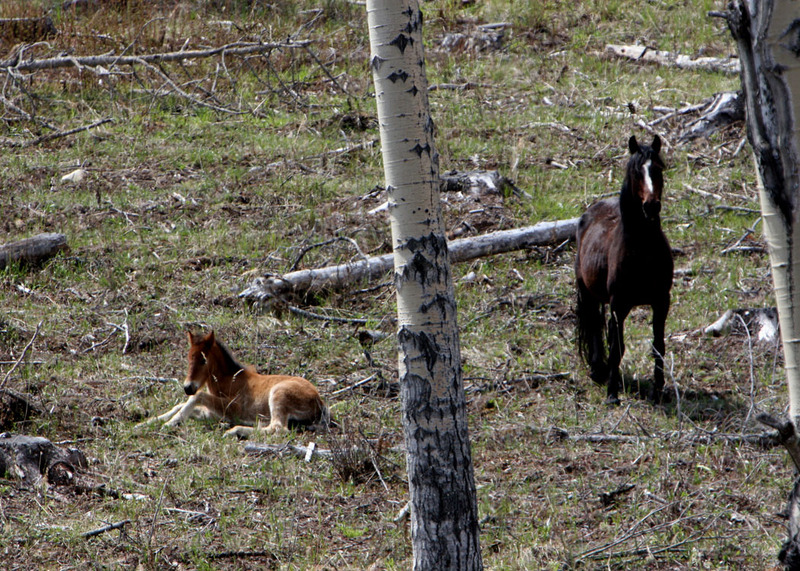 I did photograph two foals, that were in different herds, but roam an area very close to each other. Both of these young beautiful creatures showed signs of wolf attacks. Fortunately their mares and the herds must have fended off their attackers. 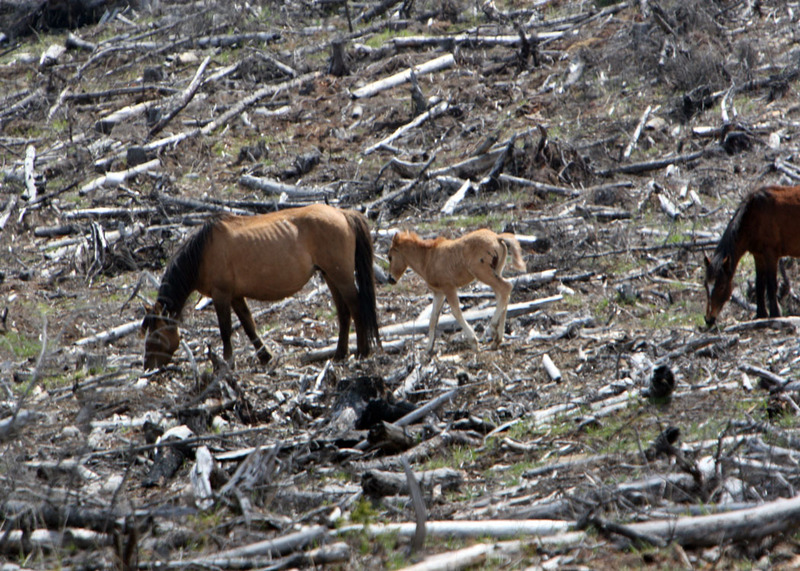 Then with some of the earlier foals that we had observed in different herds, the foals are gone. 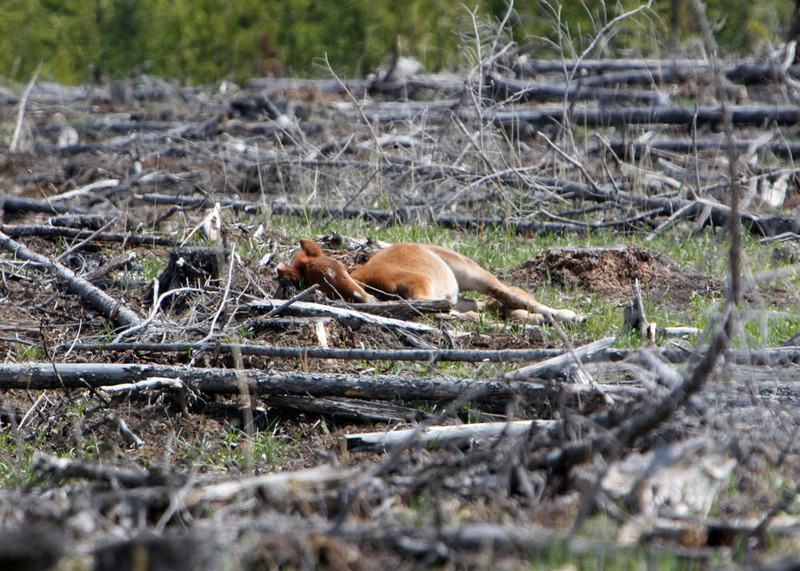 This could be due to weather, sickness or predators. 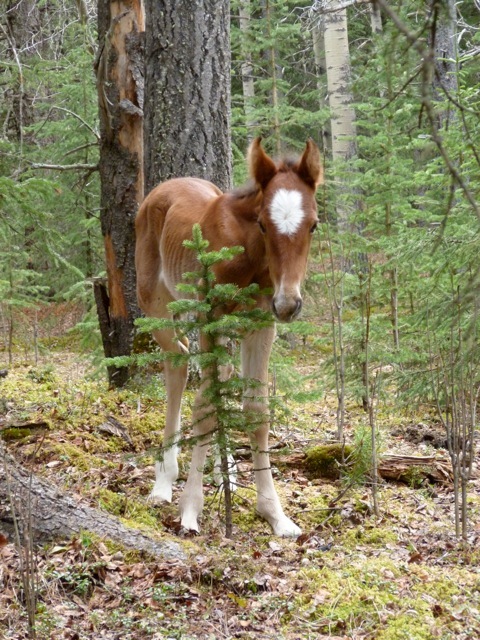 This evening after I got home, I received a phone call from a concerned oil well sight operator, of a young foal that was in distress. 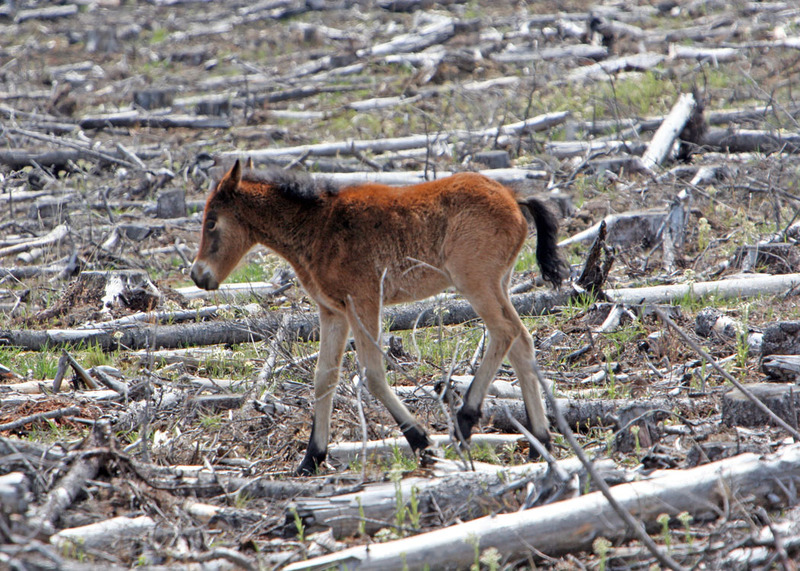 Following his directions, I raced out to the general area in order to find the foal and maybe assist it. Unfortunately by the time I did find it, it was too late. Despite my best efforts the young thing died as I tried to attend to it. When I looked up, the herd and it’s mare were standing off a short distance and just watched me. I had to cry their tears of sorrow for them. I did my best to bury the small thing and marked it’s resting site. So as you can see their little lives are not the easiest. The good news is that so many of the others are doing just fine and enjoying their new lives. 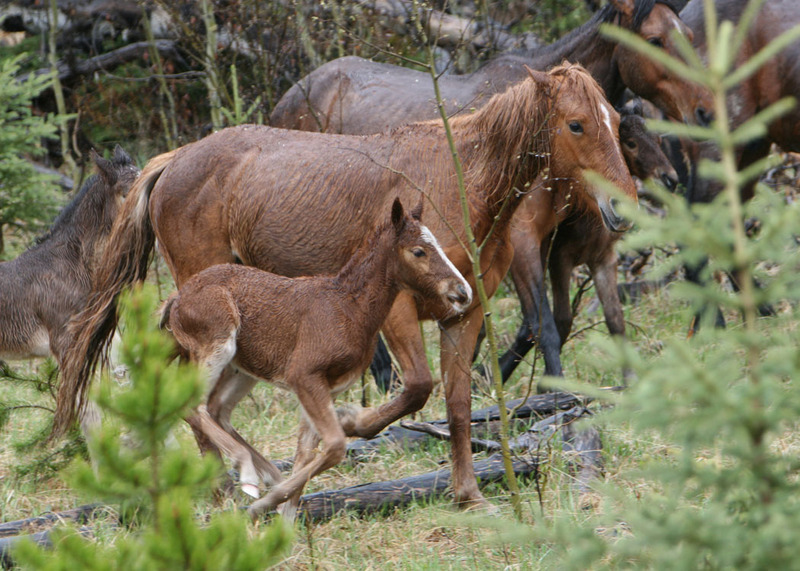 Two mares that we know of and call Thelma and Louise have almost identical foals born over a week apart. It was heart-rending to watch them both scratching themselves on a dead bush, to relieve the itch of misquito bites. 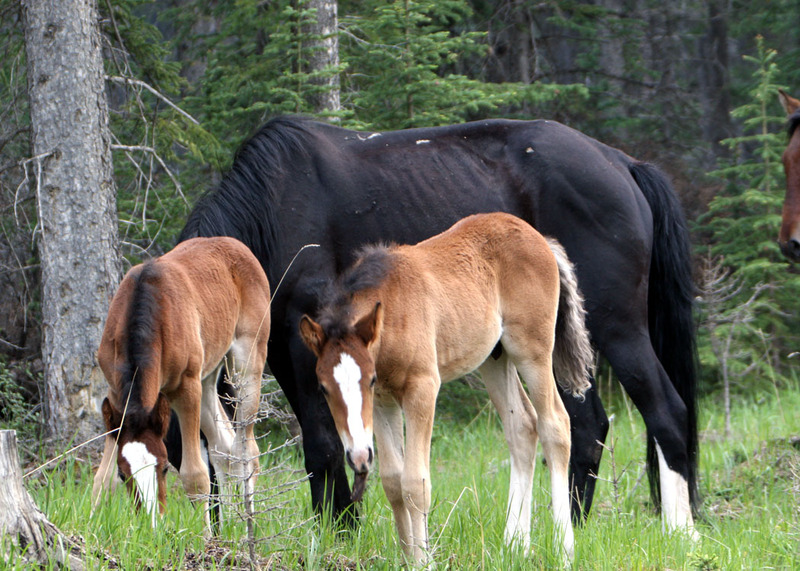 I hope that you enjoy the pictures of some more of this year’s Wild Horses of Alberta, foal crop. As the summer wears on they will contunue to grow strong as the grazing grass is very lush and plentiful this year. It is very cute to watch. Again thank you to all those that help save Ganu. I have a couple of other notes, while I am typing away. WHOAS will have an educational display booth at the Spruce Meadows Master’s and we will be situated in the Equi-plex Building from September 07-11, 2011. Please drop by to say hello and see what we are all about. Further we will be there in November at the Christmas Market, November 18-20, 2011, where we will have WHOAS on display and also have for sale at that time our 2012 fund raising calendar. This year it will be a 14 month one, having a page for December 2011 and one for January 2013, at the request of our followers.